For nearly all of his life, Mike Southgate, founder of playparty.net, has called the South Bay of Los Angeles “home”. After he got married, Mike and his wife had two daughters. They chose to continue to live in the South Bay. As a husband and father, Mike has developed an even deeper appreciation for Torrance’s family-friendly environment. Parents often ask Mike about having a Best LEGO Party or Ultimate Race Car Party at a Torrance City park. He tells Moms and Dads to visit the Park Information page and skim through the Map of City Parks, the Park Amenities Grid and the FAQs. Want to have your playparty.net event at a Torrance City Park? Here are Mike’s top spots in alphabetical order. 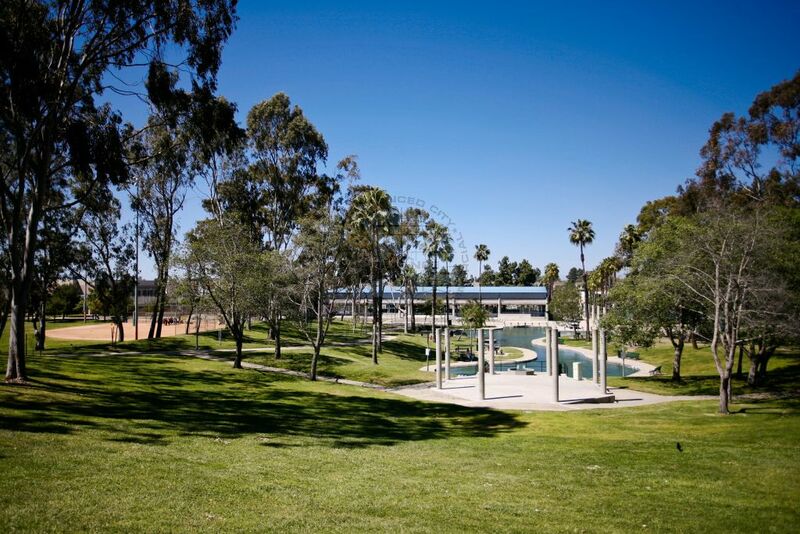 Located on 5.5 acres, Alta Loma Park is an accessible venue with spectacular views of Torrance and the South Bay area. Fittingly, its name means “rising ground” or “high hill”. Previously used as a sand and gravel pit, the park now shelters a flock of wild peacocks. 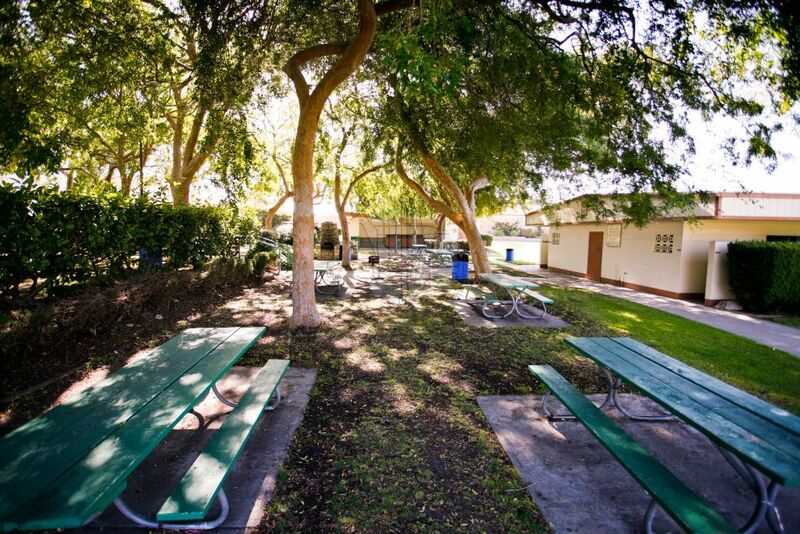 Alta Loma has a pleasant picnic area with tables, benches and BBQs. Reservations are not accepted so seating is first-come, first-served and the maximum capacity is 25 guests. An open meadow provides ample space for setting-up LEGO stations or race car tracks, and restrooms are located next to the playground. Other amenities include a recreation building, a basketball hoop and a quarter-mile walking path. With just one park entrance/exit, it’s easy for parents to keep an eye on their little ones. Columbia Park, the largest (52 acres) park in Torrance, was named after the Columbia Broadcasting Company because of its on-site radio tower. 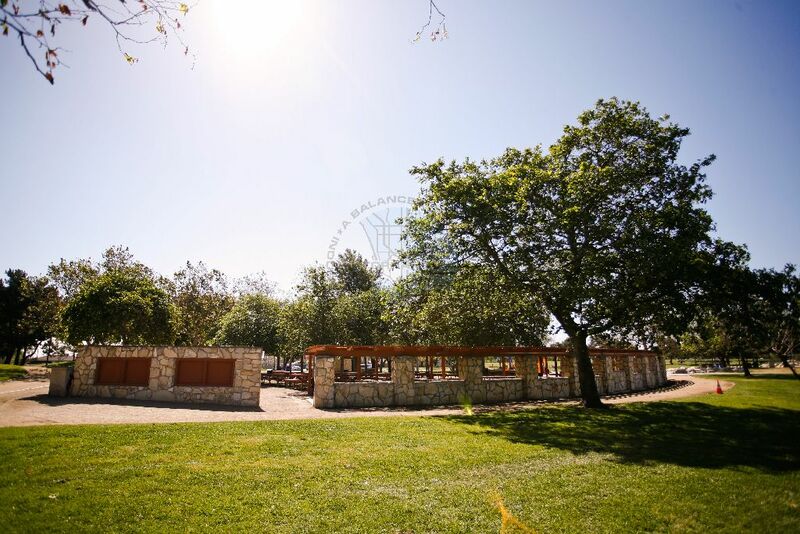 The park is accessible and offers reservable picnic areas (capacity for 400 guests), BBQs, restrooms, a gazebo, a playground and an open grassy area. Additional features are a 1.33-mile exercise path and facilities for soccer, softball, youth baseball, bocce, sand volleyball and horseshoes. The park also boasts an amphitheater, a 125-plot community garden and a grove of 110 cherry trees. El Nido (“the nest”) Park sits on 12.3 acres in Northeast Torrance. 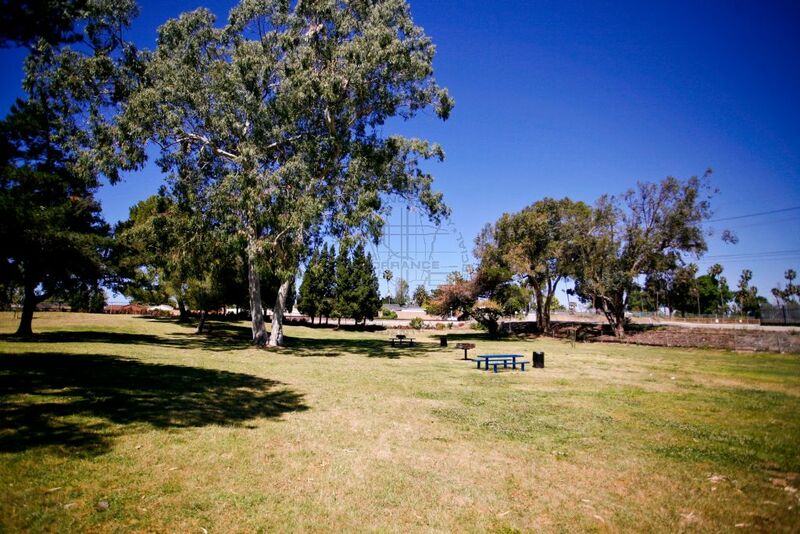 The reservable picnic area (capacity for 300 guests) offers BBQs and plenty of shade. El Nido is accessible and includes restrooms, a large playground, basketball and volleyball courts, softball and soccer fields, horseshoe pits, and a community building with a meeting room and kitchen. Situated on an old 4.8-acre tree nursery, El Retiro (“the retreat”) Park serves South Torrance neighborhoods and abuts the El Retiro Branch Library. The park has a reservable picnic area (capacity for 50 guests), BBQs and restrooms, as well as a rotunda, a playground, a small softball field, a basketball court, tennis courts and two recreation buildings. Located next to Anza Elementary School in West Torrance, 4.7-acre Paradise Park is often the site of picnics and school activities. Its name was selected from entries in a park-naming contest for local school children. When Sepulveda Elementary School closed, a 70-foot mosaic sidewalk made by Sepulveda students was donated to the park. Paradise Park has a sheltered, reservable picnic area (capacity for 50 guests) with BBQs and restrooms. Other amenities include basketball and tennis courts, and three sets of playground equipment. Torrance Park was built between 1932 and 1934, and is the City’s first public park. 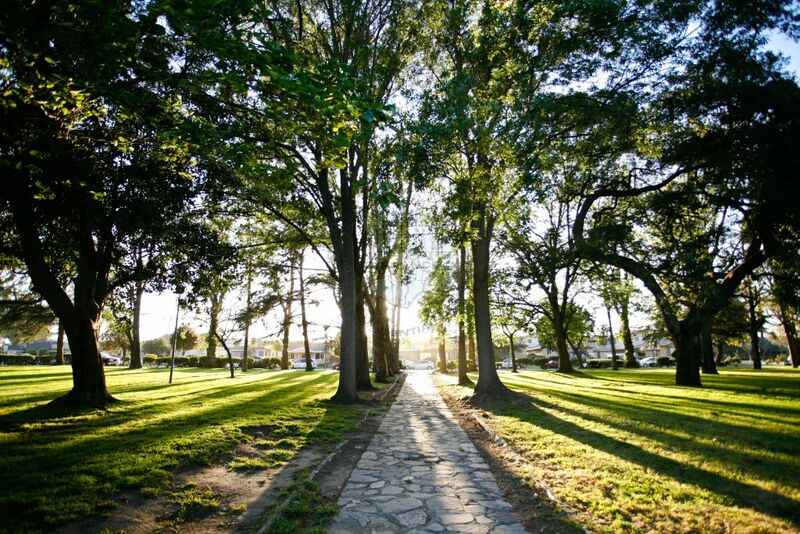 Tranquil and majestic, the park features paths and plantings arranged in the formal, historical style. Neatly trimmed hedges and a charming rose garden distinguish it from parks of more recent vintage. 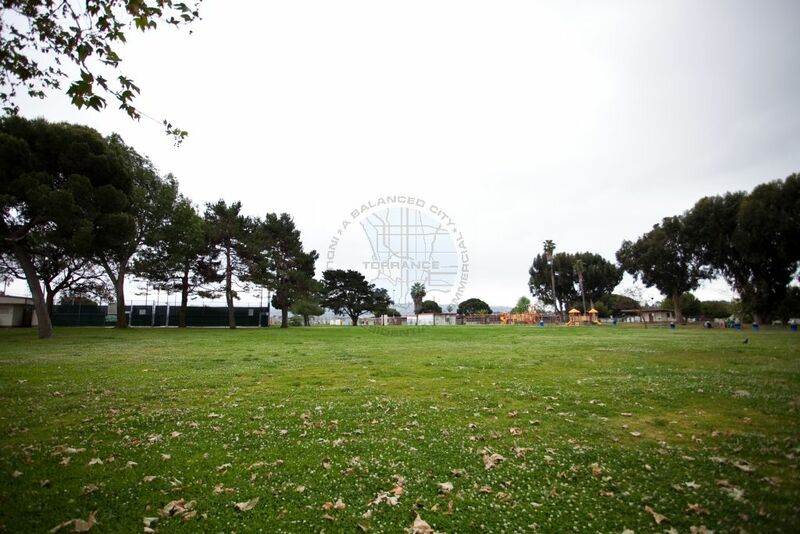 Torrance Park encompasses 10.2 acres in the South East section of the City. Along with tall shady trees, it has secluded picnic niches with BBQs for small groups and for bigger groups, a spacious, partially-covered picnic area with more than 20 tables. The large picnic area includes a band shell with plenty of spectator seating and handicapped access. Reservations are accepted (capacity for 300 guests) and restrooms are available. The park also has a baseball field, a small rock climbing wall, a 1955 fire engine truck, a basketball court and horseshoe pits. Victor Park’s 6.6 acres border the Isabel Henderson Library and contain a reservable picnic area (capacity for 50 guests), BBQs and restrooms. A one-fifth mile jogging path encircles a large open grassy area in the middle of the park. Victor Park is accessible and also offers a basketball court, sand volleyball court and softball diamond. To the delight of Victor Elementary School students and the local community, the playground equipment was recently updated. 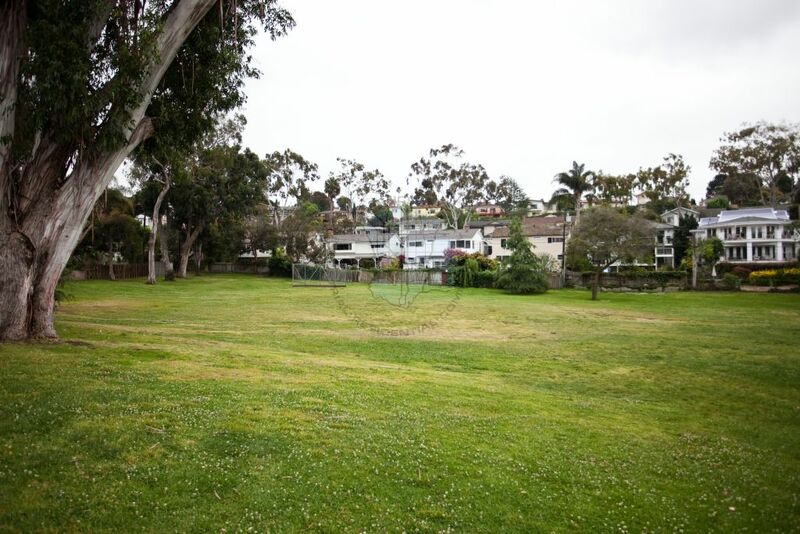 Walteria Park consists of 4.5 acres in South Torrance and is located on land that used to be a celery field. The park’s namesake is Captain A. Richard Walters who moved to the area in the 1880s and built the Walters Hotel on the road connecting the Redondo Beach salt works with the San Pedro harbor. Walteria has two picnic areas, the larger of which is sheltered, reservable (capacity for 50 guests), and adjacent to the playground. 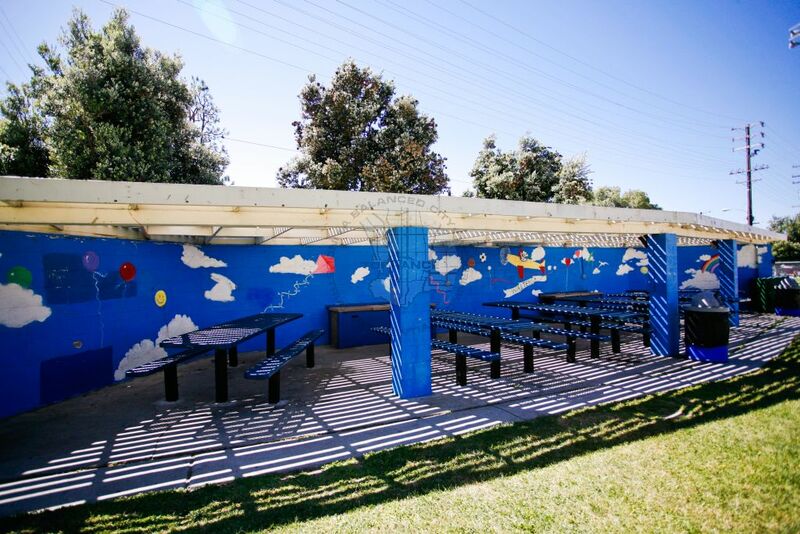 A joyful sky scene mural by painter Jo Ann Citrowski wraps around the picnic tables. Amenities also include BBQs and restrooms. The park is accessible and contains a softball diamond, tennis court, basketball court, handball wall, and horseshoe pit. A recreational building with a kitchen is used for preschool programs and senior citizen recreation activities, and may also be rented by the community. Charles H. Wilson Regional Park is situated on 44 acres, which formerly housed a United States Naval Annex. The land was purchased from the Federal Government with the assistance of former Congressman Charles H. Wilson, for whom the park is named. Originally envisioned as a “central park for all people”, the park is accessible and enjoys a variety of uses. Facilities include: four softball diamonds that double as soccer or flag football fields; two outdoor basketball courts; two sand volleyball courts; two paddle tennis courts; eight horseshoe courts; three tennis courts; a universally accessible tree house, an amphitheater and gazebo; a pond; a shy-one mile walking/jogging path; a state-of-the-art roller hockey rink; batting cages; and playground equipment. 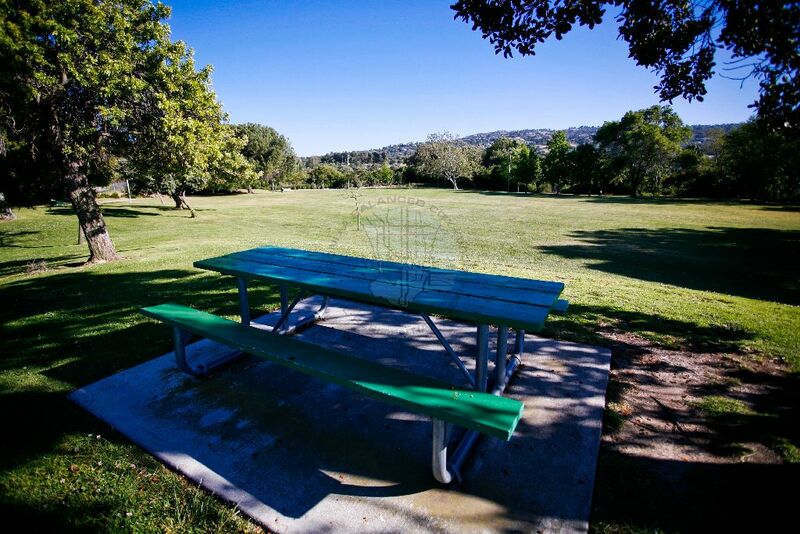 Reservable and non-reservable picnic areas are plentiful (capacity for 1,000 guests), as are BBQs and restrooms. Wilson Park contains the Dee Hardison Sports Center, named after the former Mayor of Torrance. The Sports Center features a gymnasium, two basketball and volleyball courts, a multi-purpose room and a landscaped patio/plaza. Visit us again soon for more birthday party ideas. Book your Best LEGO Party or Ultimate Race Car Party now in San Diego, Orange County, Los Angeles or San Fernando Valley with playparty.net, Southern California’s premier provider of children’s birthday party entertainment.